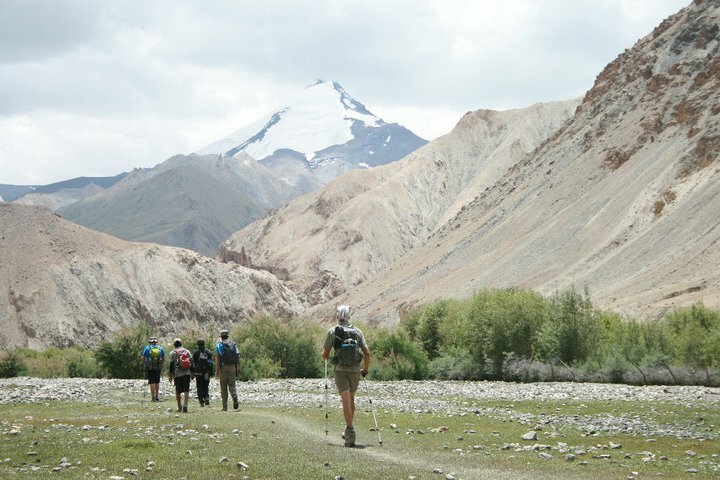 Trekking in the Markha Valley is one of the most popular activities in Ladakh. The trail is wonderfully varied in the charms it hides, and can be dealt with in many different ways. We have compiled a few facts you should know before putting your hiking boots on. The Markha Trek runs through the Hemis National Park, which is a more or less protected area due to the rare plants and animals that can be found in it. Its most famous inhabitant is the snow leopard, but you will not be able to see it in summer. The chances would be quite good in winter though. The Markha River gives the trek its name. On the classic route, the 2 most important mountain passes are the Ganda La (4.900m) and the Kongmaru La (4.950m). The Stok mountain range is the defining geological landmark of the park. Around the Nimaling plateau several 6k peaks invite and await to be climbed. In the Markha Valley there are several small villages not yet connected to the road, although there are plans to grant them such access in the near future. The Markha trekking route is located in this region. Section from: Trekking in Ladakh. Map by Sonam Tsetan and Henk Thoma. The classic route leads from Spituk to Hemis or Martsellang. But we have not hiked this route for a long time, because it is not really interesting since new roads have been constructed. It now leads from Spituk to Zhingchen, and after a break it continues again in Shang Sumdo. Therefore we recommend a shortened version that goes from Zhingchen to Shang Sumdo. Of course, there are many alternatives. It is possible to start in Chilling, which means you can avoid the abrupt increase in altitude at the Ganda La mountain pass, and acclimatise more comfortably. 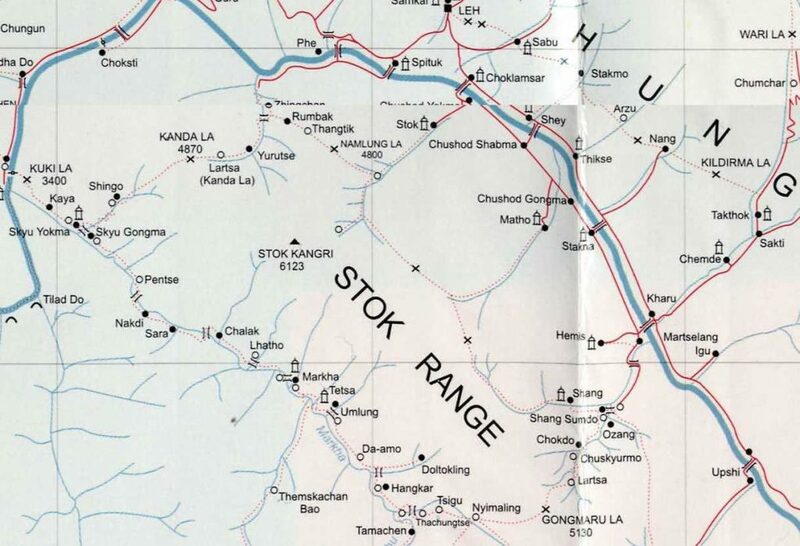 When starting from Stok, it is also possible to extend the trekking slightly adding another mountain pass (Namlung La or Stok La). The end may also vary: some will continue via Matho Phu and Shang Phu and end their trek in Stok; others can decide to turn to Hangkar and hike across the Zalung Karpo La to the land of the nomads; and others still will walk all the way to Zanskar along the Zhunglam variant. This is just to mention a few of the many possible trails available. The orange dots correspond to the classic route; the blue ones are some of the variants. Homestays are a good opportunity to get to know and share with the locals. 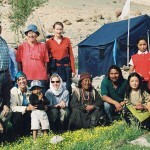 The Markha Trek is one of the few treks in Ladakh which allows to spend the nights in homestays. This is particularly recommended for those with a smaller budget, single travelers and/or all those who want to have as much contact as possible with the local people. In any case, it is a special experience that will be remembered. The homestays are not comparable to the lodges in Nepal, which are usually very comfortable. 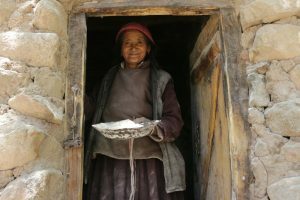 The homestays in the Markha Valley are simple and authentic: houses of real farmers who reserve a few rooms for guests. Therefore – and this can deeply disturb some people – it can sometimes happen that one is bitten by a flea or even a bedbug. Farmers’ lives are closely interwoven with those of their animals, so it’s not surprising that some pests find their way into the house. Showers or even just proper bathrooms are also a very rare commodity. On the Markha Trek, there is a rotation principle among the homestays, that is, you can’t choose your accommodation yourself: you are assigned one according to a fair system. Homestays are not recommendable for people who give great importance to cleanliness and hygiene, nor for large groups, since only a few homestays are big enough to accommodate them. Also notice that homestays are only available along the classic route. 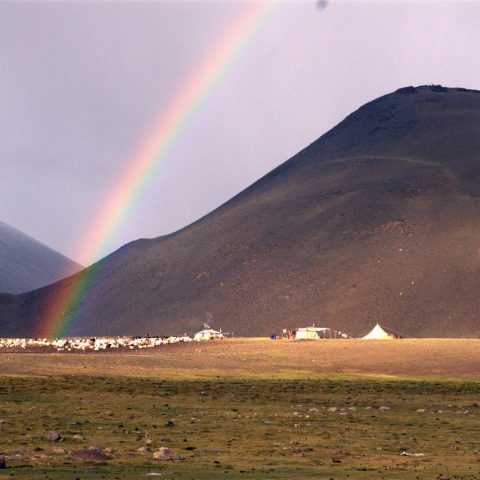 The high season at the Markha Trek spans the summer months of July and August. Many people complain nowadays that the routes are somehow overcrowded, but that depends a bit on the where and when you start. On some occasions, many large groups start at the same time and in the same place as you; some other days, you can be one between just a few travelers. On the trail itself things are different, because every person has a different hiking speed and not everyone walks the same route or spends the night in the same camp. Nevertheless, we can recommend the Markha Trek especially for the months of June and September; during this time there are fewer people on the road. In any case, the trek is wonderfully charming the whole year… we love especially September and the mesmerizing changing colors of the fields and trees. 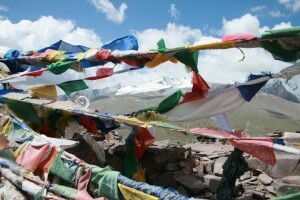 There is always the possibility to go the Markha Trek outside the months June-September. You simply have to pack something warmer. 5 Horses, porters or alone? Which option is the best depends of course of each individual traveler. Most people need help when transporting their luggage while trekking in Ladakh, since walking at such high altitudes is considerably harder than at home, even with a very light backpack. Therefore, these people will need horses or porters. But if you are confident and, for example, choose to spend the nights at a Homestay instead of camping, you may be able to carry your luggage yourself. It is naturally more difficult if you have a tent and provisions. Then you will probably need some help. 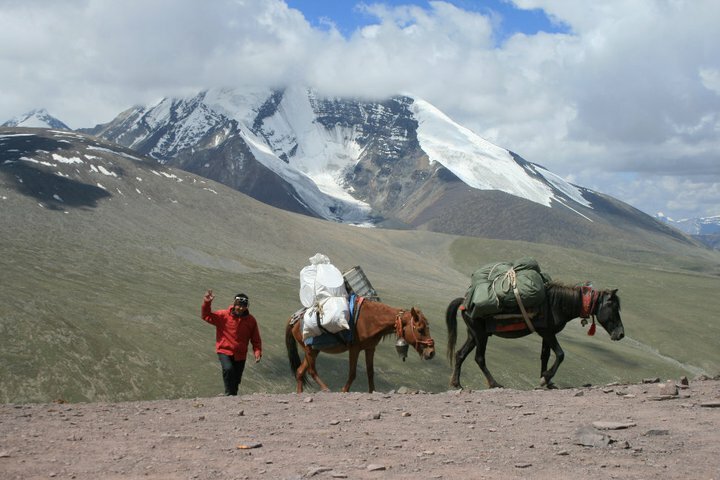 Horses are recommended for proper trekking tours, in particular if the party includes a cook. Since it is hardly possible to find a horse handler who agrees to go on a trek with less than 4 horses*, this option can be too much for people traveling without crew or people sleeping in homestays. For such travelers, the better option is to hire porters. *To be clear: horse handlers charge per horse and per trekking day, so going on a trip with just one horse is usually not good business… understandably, since they have to earn enough during the short summer months to maintain their families in winter. It has nothing to do with being greedy. The region around the Nimaling plateau, blessed with several imposing 6k peaks, can be considered a paradise for mountaineers. Many of these mountains are also well-suited for the less experienced climbers: Dzo Jongo, Tasken Ri, Regoni Mallai Ri and, of course, the prominent Kangyatse, are probably the most famous. You can find more information about ascents in the Nimaling region on the homepage of Harmut Bielefeldt (this website is only available in german), who visited us in 2014 in company of his wife, child and friends, and has already conquered numerous summits. 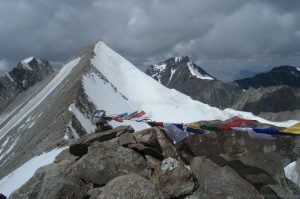 For those who have the Stok Kangri in their sights, the Markha Trek is recommended as an acclimatization tour. The increase in altitude can also be achieved steadily and without interruptions via Shang Phu and Matho Phu. We have classified this trekking tour as moderate. In any case the high altitude is an important factor to consider, because walking at such heights can be particularly exhausting. At an appropriate pace, however, it shouldn’t represent a problem for anyone in good physical condition. You should be able to walk between 4 and 8 hours a day. 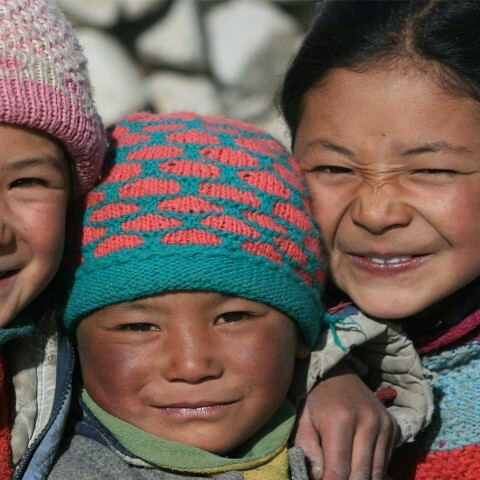 However, the stages can also be adapted to the conditions of the individual hikers, and we have even undertaken trekking tours in the Markha Valley with children. 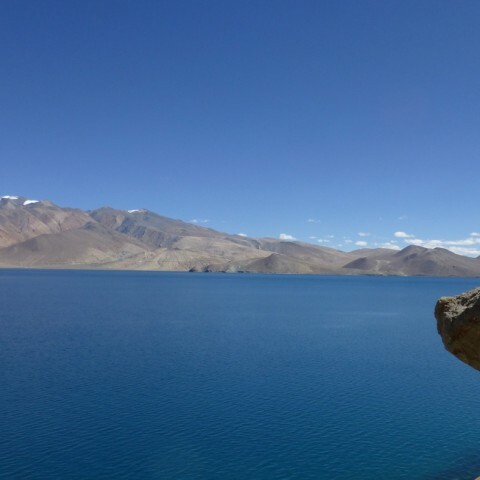 If you are looking for something more challenging, you can for example start with the Markha Valley classic trail and then turn towards Changthang or Zanskar. There are also alternative and harder routes that will require more from you, or you can simply plan longer stages according to your own stamina. Classic and diverse Trekkingtour in the famous Hemis National Park. Group Trip: between 4 and 10 participants. Individual Trip: starting from 1 person, on date request. Several dates available. Also possible to arrange dates individually.